The relentless soldiers of an oppressive star empire march across countless subjugated worlds, imposing the will of the emperor. Amazing what a change of view will do! 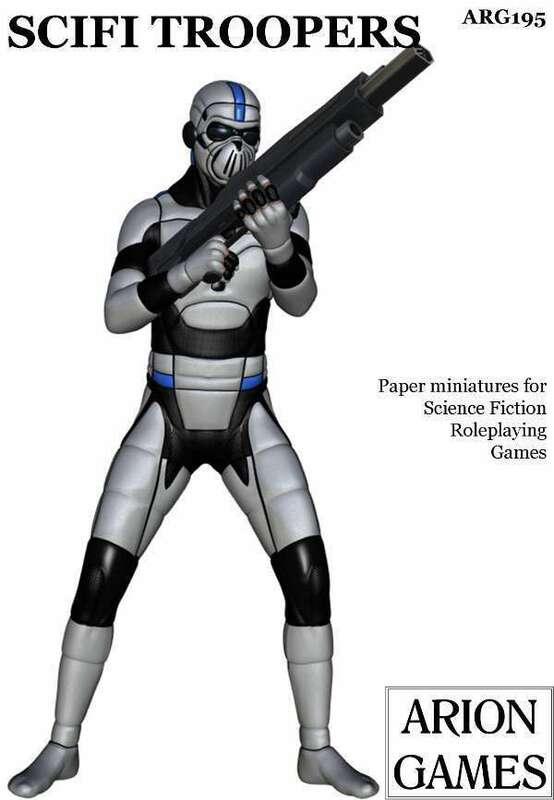 Either way, this set of paper miniatures provides you (at a very low price) with a veritable army of Troopers!